With Nothing Bundt Cakes, we can help a TopFlight member raise waivers for their fees! which is over $3,000 in waivers earned for our TopFlight members. This is a great opportunity to earn waivers for the 2018-2019 club season. The Austin RODEO also gives us the opportunity to hang out with our friends and teammates as well as see an exciting rodeo and listen to some great music. We will be volunteering in the concessions. 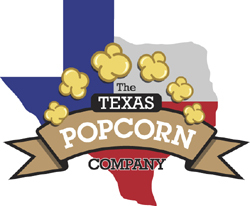 Texas Popcorn Co offers participating TopFlight members up to 50% in waivers for their fees! This year TopFlight (TF) sold over 800 items, which is over $5,00 in waivers earned for our TF members. If you have any questions, you can contact us at txtopflight@gmail.com or call 512-413-3283.